The SnapSafe Lock Box provides secure storage for handguns and other valuables at home, on a nightstand, in the car or when traveling. 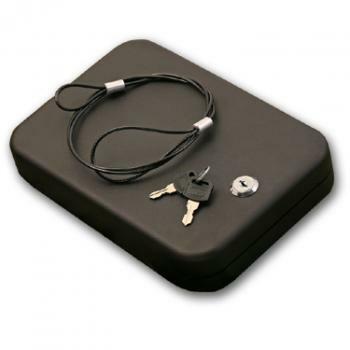 The included heavy steel cable secures the Lock Box to any stationary object, car seat or the internal frame of a piece of luggage. The Lock Box also provides security for Conceal Carry Permit holders.